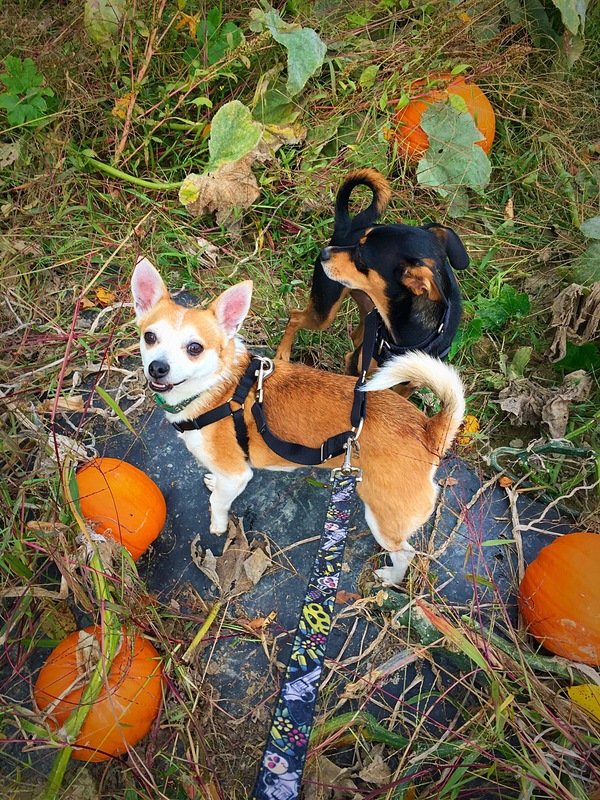 Is there anything cuter than two little doggies running around a pumpkin patch? I might be biased, but I don’t think so! 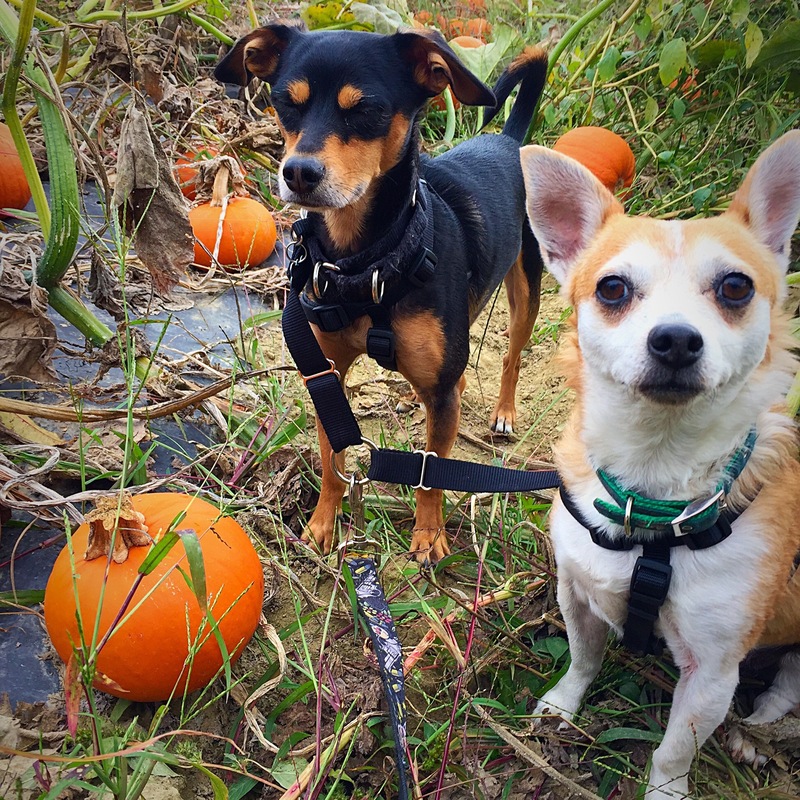 Seriously though, Toby and Maddux were just too cute for their own good during a recent trip to a pumpkin patch. It wasn’t specifically pet-friendly, but we asked nicely, and promised there would be no dog poop left behind. Toby had been pumpkin picking before when he was a few years old, but it was Maddux’s first time. I’m not sure Maddux knew what to make of it, but Toby was totally into it. 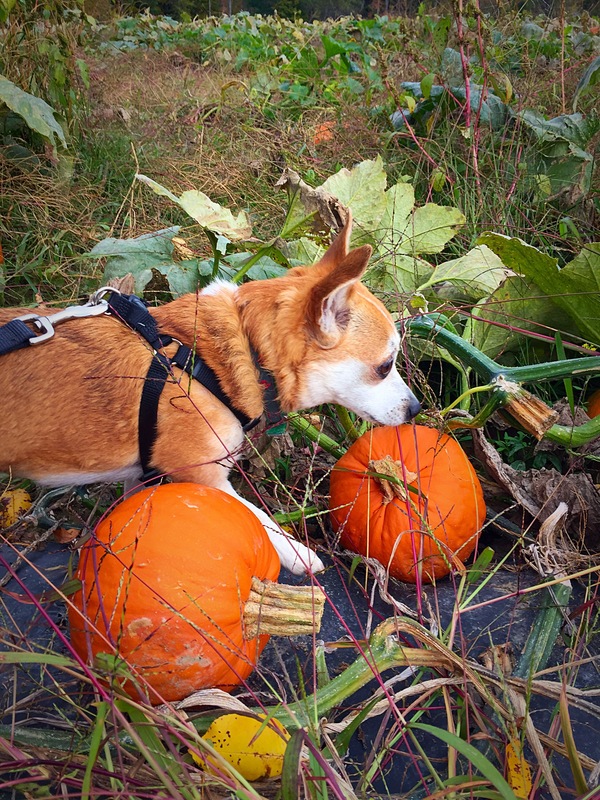 He was sniffing around and checking out each pumpkin to make sure he picked the perfect one. And, yes, we did take this pumpkin and the one in the first photo home. It really was so much fun, and made for some cute photos and video.